Madeline Woker is a Ph.D. candidate in history at Columbia University, New York. 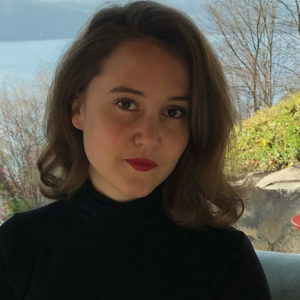 Her dissertation, ‘Empire of inequality: the politics of taxation in the French empire, 1920s-1950s’, examines the fiscal architecture of the French colonial empire and the politics of colonial tax reform. More particularly, it traces how colonial tax policies related to growing anxiety about the political, social, and moral consequences of financial inequality in the French colonial empire. This year, Madeline will be a Camargo Foundation scholar. She has received grants and fellowships from the Social Science Research Council, the Center for History and Economics (Harvard/Cambridge), the Weatherhead East Asian Institute, the Institute for African Studies, Columbia GSAS, the Alliance Program, and the Helen McArthur Foundation. Madeline has degrees from Sciences Po Paris and the London School of Economics. In 2014, she received her MPhil in Modern European History from the University of Cambridge (with distinction). Madeline has worked as a public affairs officer in the satellite communications industry.